The floral designers at Allen's Flower Market out did themselves with this dazzling arrangement. They hand-crafted a gathering of roses, button poms, hypericum berries and beautiful seasonal greenery, then finished off the design by dropping in decorative pine cones. 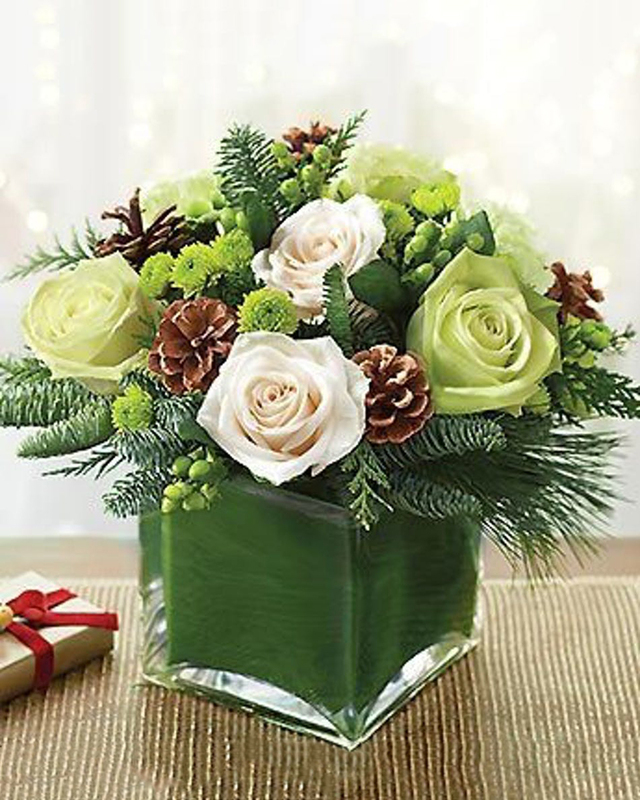 Each bloom is skillfully placed into a designer glass cube vase, that is lined with a stylish Ti leaf ribbon.